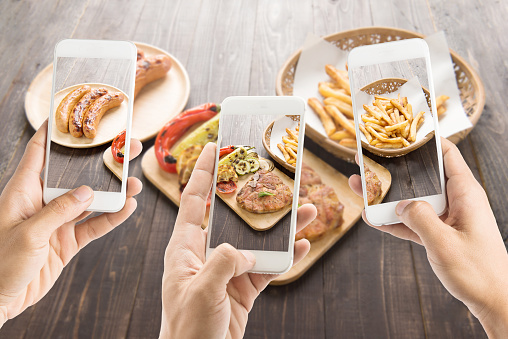 Researchers from the Salk Institute’s Regulatory Biology Laboratory in La Jolla, California are surveying where, when, and what people eat with a mobile phone application (app) designed by the team. The method encourages healthier dietary habits, according to the new research published in Cell Metabolism. For the study, the mobile phone app collected daily drink and food intake from more than 150 people during a three-week period. The study aimed to examine the timing effects of food consumption and assess whether decreasing the time spent eating would affect health. The researchers hypothesized that a timed feeding schedule could effectively prevent metabolic jet lag, whereas irregular eating times or habit changes distort the body’s circadian rhythms. Previous research suggested that changes in eating duration in mice helped prevent obesity and other diseases. The research team designed the app to collect, examine, and interpret food intake patterns. People sent pictures of anything they drank or ate for the analysis. The app also captured the time and place the food had been eaten. Study participants were between the ages of 21 and 55 and had not been on a food or weight management program in the previous six months. They were given access to the free research app and told to take and submit pictures of their meals for three weeks. The researchers found that more than half of the participants ate for 15 hours or longer each day. The majority of those in the study consumed less than 25% of their daily calories before noon, and over 33% after 6:00 p.m. The researchers also selected eight overweight individuals with a habit of eating over 14 hours daily. The team asked the individuals to eat for 10 to 11 hours without any changes to their diets. They discovered that the group lost an average of 3.5% of excess body weight, while they reported feeling better rested and more energetic. The data suggests eating over a shorter time period could improve the well-being in some people. Gill, S., et al., “A Smartphone App Reveals Erratic Diurnal Eating Patterns in Humans that Can Be Modulated for Health Benefits,” Cell Metabolism 2015, doi: http://dx.doi.org/10.1016/j.cmet.2015.09.005. “Novel research method reveals eating habits,” Medical News Today web site, September 25, 2015; http://www.medicalnewstoday.com/articles/299886.php.